New skipper on Beautiful 1976 CHRIS CRAFT Caribbean 35 Ketch. I am working at a refit to include some new electronics, updating existing gear and adding a freezer. My boat is in St Thomas, USVI. My home is Louisiana. I’m heading down to sail for the entire month of June 2019. I’m looking for a sailing mate, friend, partner and confidant. Sailboats are small places, so compatability is a must. Traveling is a huge part of my life...a passport is a must, but I will admit I hate to fly. I’m a fun guy and a good cook. The best meal out of my galley so far has been creole shrimp with rice on passage to St Thomas. I’m hoping to cruise in the Caribbean for a while, but then, who knows...if I have the right crewmate, there is nowhere that is impossible! I took a basic coastal skipper’s course and have been out sailing as often as possible. I was asked to help sail a 42 ft Dufours sloop from Ft Lauderdale to St Thomas USVI. I found my beautiful 10 meter Ketch soon after. I have been working at refitting and updating her systems. I’ll be sailing all of June and hauling out for the upcoming hurricane season. Once on the hard, I’ll knock out some larger jobs through the summer and once Nov1 rolls around (insurance restrictions), I’ll be heading out and exploring the beautiful and varied islands throughout the Caribbean. Once I find the right crewmate, I hope we’ll be sailing together for the rest of our lives. My ketch is a beauty and once she’s refit, there is no place on earth that will be out of bounds! I’m a nice, honest, hardworking, divorced guy who wants to find the right experienced sailing woman for a 50/50 LTR and the adventure of a lifetime. Day Sailing/Gunkholing around St Thomas and Virgin Islands. Looking to further explore the Caribbean basin...who knows after that! Ketch35 and Marina4242 are now friends. sailingsearch and Ketch35 are now friends. Ketch35 and lrose are now friends. Wanted: whisker pole	- Free! 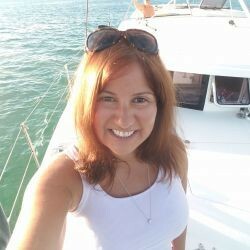 Ketch35 and LizzieJB98 are now friends. h2o and Ketch35 are now friends.